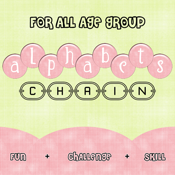 answer these questions; Can you be the master of the alphabet? Are you fast enough? How much skills you have?